Resident Evil is one of the biggest franchises in gaming and it seem an image has surfaced that might suggest a sequel. Specifically, Resident Evil: Revelations 2. The image is of the box art of the title, via AllGamesBeta, appear to be pretty legit and it reverts back to the xbox.com domain. It suggest that the Resident Evil: Revelations side-story is getting a sequel. It’s interesting that it is an Xbox 360 box art but that could mean anything. 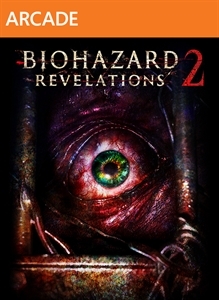 The idea of a sequel has been in gamers minds since IGN had an interview with Capcom’s Masachika Kawata and stated he wanted to do another entry in the Revelations story. Then last year images that surfaced of an alleged advertisement for the title. Nothing really ever became of either. Maybe they both evolved into what is now a full-on console release of the sequel. This is to all be taken with a grain of salt until we get more evidence but it is sort of interesting that it was uploaded directly to Xbox.com. We have reached out to Capcom for a response on the image. Let the speculation begin, but if this turns out to be true, expect it to be announced at TGS 2014 next month. Update 2: Added the lone screenshot above that was also via AllGamesBeta on the Xbox.com domain.